When I return from vacation the new exhibit will be at the Museum. 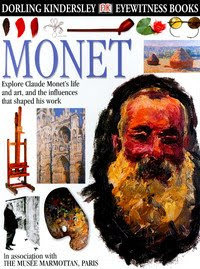 While there are many more artists in this exhibit, Monet is the first of the artists from this exhibit that I have a class about. In preparation for some of the classes revolving around this exhibit, I checked out some books from the library to share with my boys as well as the class. I think some of Monet's most recognized work would probably be any of the water lily series. The last years of his life, Monet rarely left home and only painted scenes from his garden and his lily pond. I am so excited to share his work with my children. 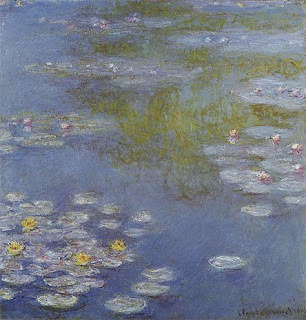 I wrote several papers discussing Monet and the water lily series in college after seeing an exhibit (Monet at Giverny:Masterpieces from the Musee Marmottan) at the Albright-Knox in Buffalo many years ago. I am moved by his work and seeing it in person is overwhelming and extremely moving. 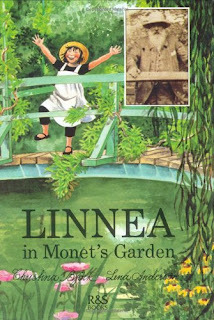 Here are some of the Monet books I am going to have laid out for the kids. I have many of the Metropolitan Museum of Art books for my boys and they are really good books if you have not seen this series before. While most of these books are not necessarily aged for my classes the kids can certainly look at the pictures and talk about what they see. I sometimes think people do not give credit to kids for what they can accomplish and understand. Stay tuned for the wonderful artwork we are going to create! 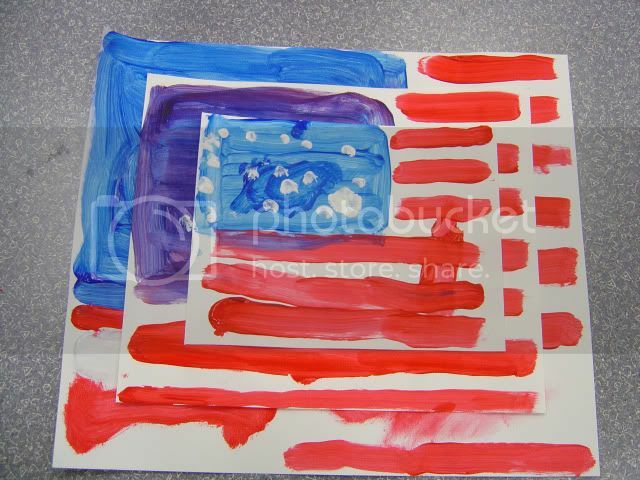 Saturday we had so much fun creating flag paintings in honor of Flag Day which was yesterday, June 14. 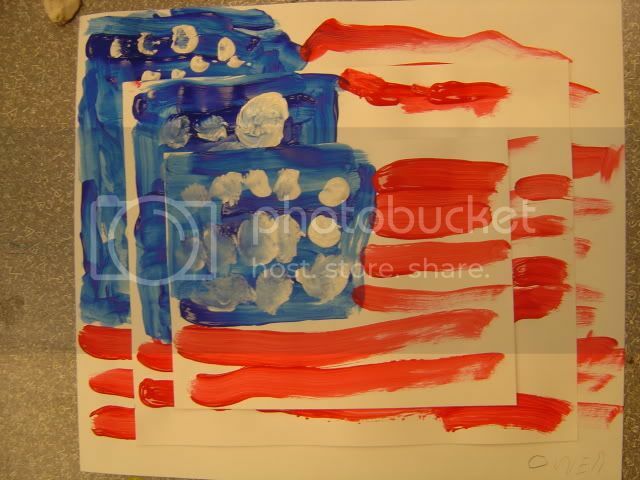 The piece above is 3 Flags by Jasper Johns and it was the inspiration for our own creations. 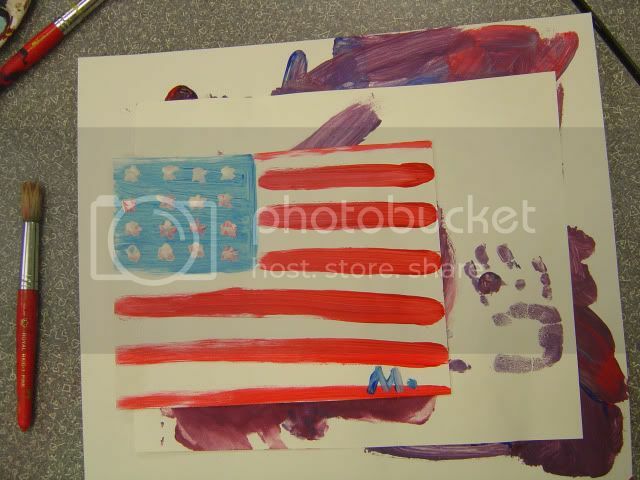 In this Pre-K class for ages 3-5 we read Meet Our Flag, Old Glory by April Jones Prince. Illustrated with a fun collage technique by Joan Paley. This book would also be great for the 4th of July. 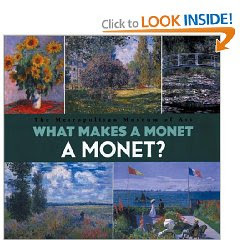 I talked about flags in artwork and we looked at several painting with flags, many by Childe Hassam from this book, Childe Hassam, American Impressionist. 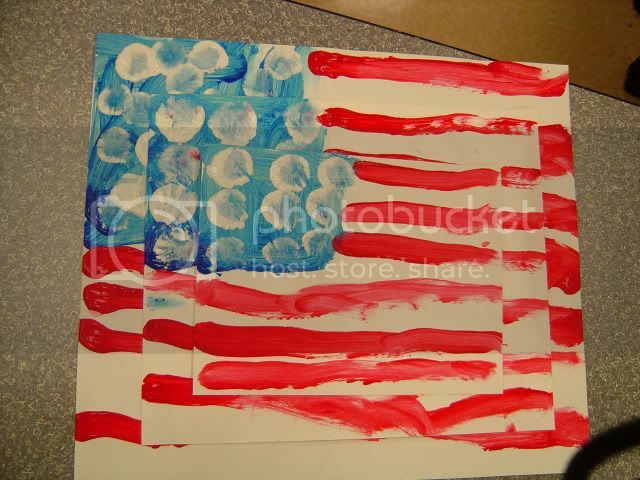 Then we talked about Jasper Johns and looked at some of his work from this book. Jasper Johns, Modern Masters. In the gallery we found red, white and blue. In the classroom I set up a little flag at everyone's station. 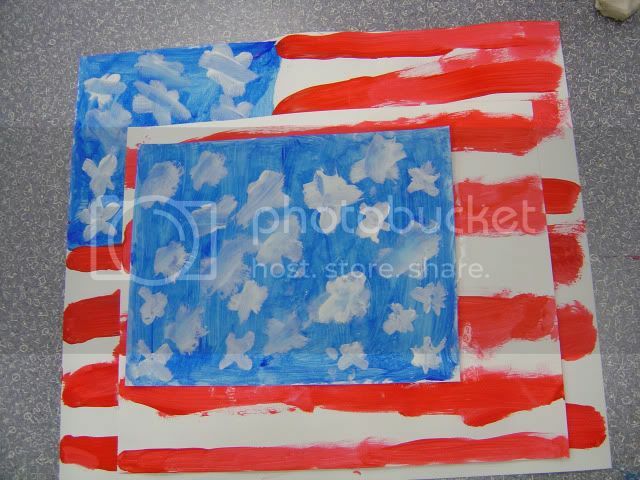 Everyone had 3 pieces of paper, red white and blue paints, brushes and imagination. 2 boys ages 5 and 3 keep me very busy! Here they made me a play-doh cake. 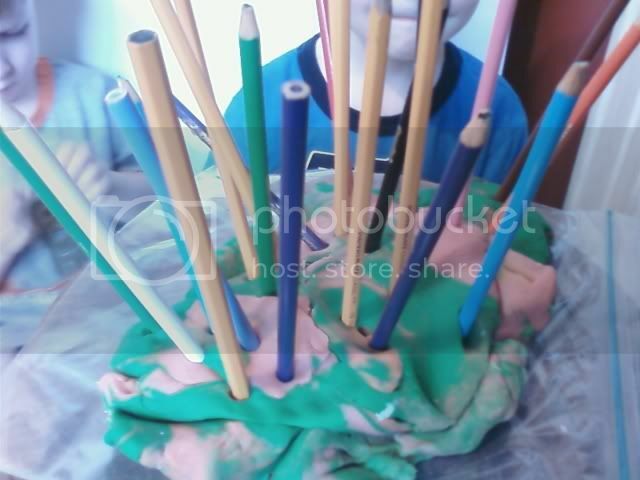 Love those pencil candles! Where has the time gone? We have been having a wonderful summer here. I have been fortunate enough to start summer classes at the Museum and we have been having so much fun! If you have not been to the Museum lately, you will find a few changes on the 3rd floor. New artwork is up and things have been rearranged to create a wonderful airy open floor plan. The Museum is also preparing for an extraordinary exhibit, Turner to Cezanne, Masterpieces from the Davies Collection, National Museum Wales. It opens June 25 and I have been looking forward to this since it was announced. It is going to be very exciting with pieces from all those "famous" artists you know. Monet, Cezanne, Van Gogh... I know I can't wait. In the class we have been busy bees. Toddlers learned about the color green. We read Little Blue and Little yello by Leo Lionni. We talked about green things like trees, alligators and dinosaurs. Then we found green in the gallery. 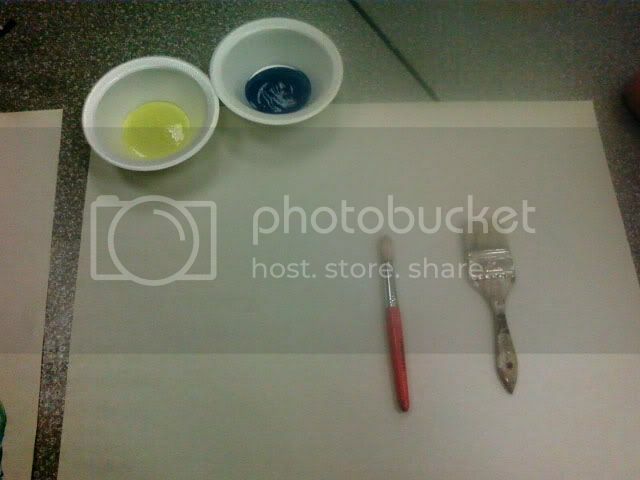 In the class we had a bowl of yellow paint and a bowl of blue paint. 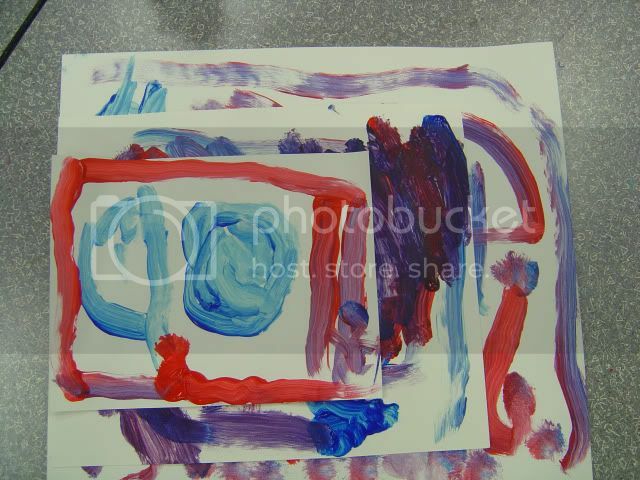 We had a big brush and a litle paint brush and a big piece of paper. 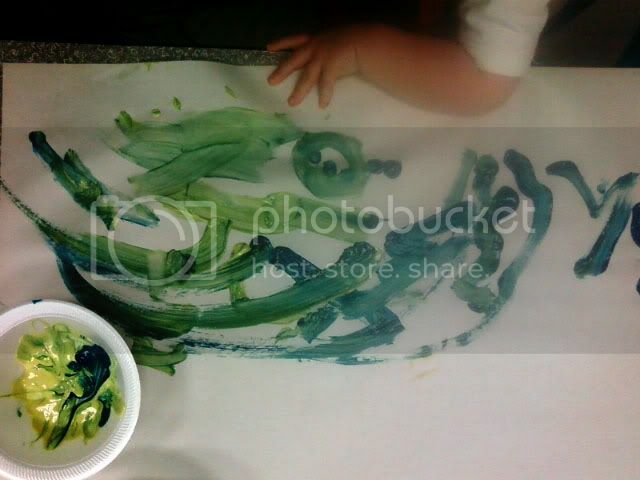 The kids, ages 18-36 months had so much fun dipping, swirling and mixing green. 12x12 planning is coming along and I think I told you to save the date for Sept. 26. I just got my artist entry form in the mail yesterday and I can't wait to commit to enter a piece. Stay tuned, I will be sure to post how the painting is coming along.